Before having kids, I never truly appreciated the most sacred room in our home… the bathroom. Once you become a mother, you become very aware of this room. After spending your day caring for everyone else, it is a luxury to go and have a hot bath, or shower. When I first became a mom, I would strap my newborn into his bouncy chair while quickly and wildly washing in the shower. All the while, I’d constantly peek my head out to make sure he was okay (which he always was). Those were the days when I would feel this pang of guilt each time I took a bit of time for myself. Fast forward six years and four kids later, the guilt is long gone. Now it’s just a matter of finding the time, and I make sure I carve it out for myself daily. Something else that has also evolved over the years is my skin care routine. Before kids, I would shower daily and put myself first. But once I became a mother, I let my self-care routine slide. As the years went by, and I got a little older, I knew that I needed to give my skin the attention it needed. This also included ditching products that were not right for my skin, or my family’s. From facials, to exfoliating scrubs, I have tried it all. But in the end, I have found that a great routine, great products, and some good rest are all that my skin needs. One product that I love for my skin is simply Dial® ADVANCED Bar Soap. Not only is the smell incredible, but it also contains vitamin E and aloe to leave my skin feeling healthy and soft. It lathers like a dream, too, thanks to its new “Lather Pocket” design. Another reason I have switched to this soap is the shape and size. 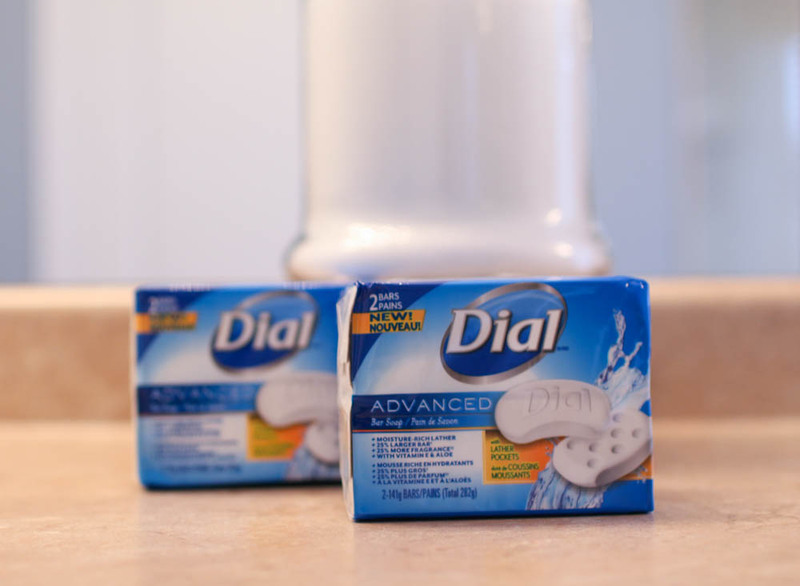 I always felt like was replacing my soaps so often before, but Dial® ADVANCED Bar Soap is 25% larger than other Dial® soap bars and it has a great ergonomic shape. 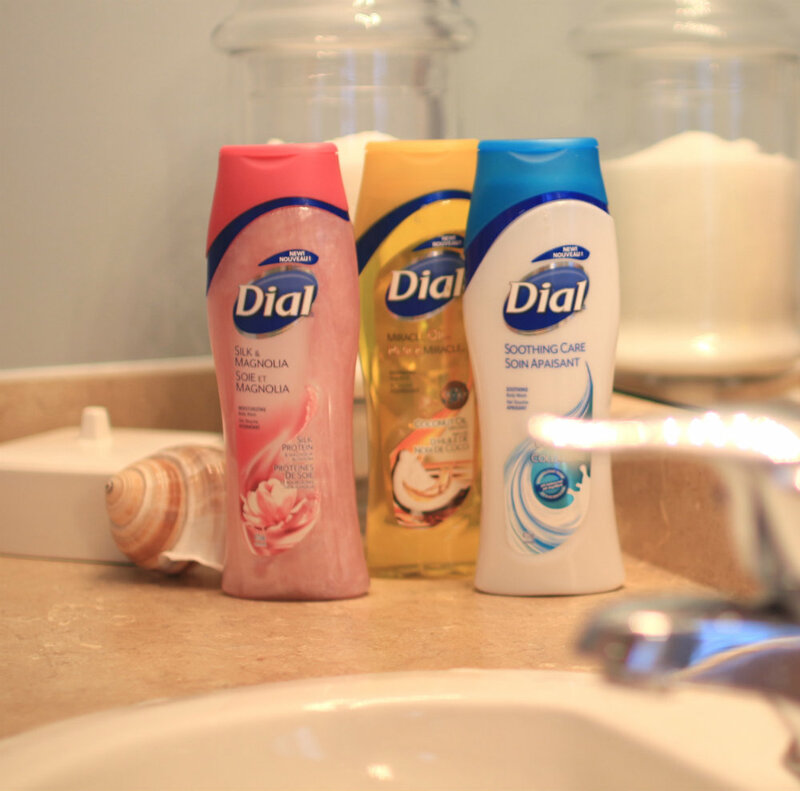 Dial® has also a great line of body washes, which I also love! 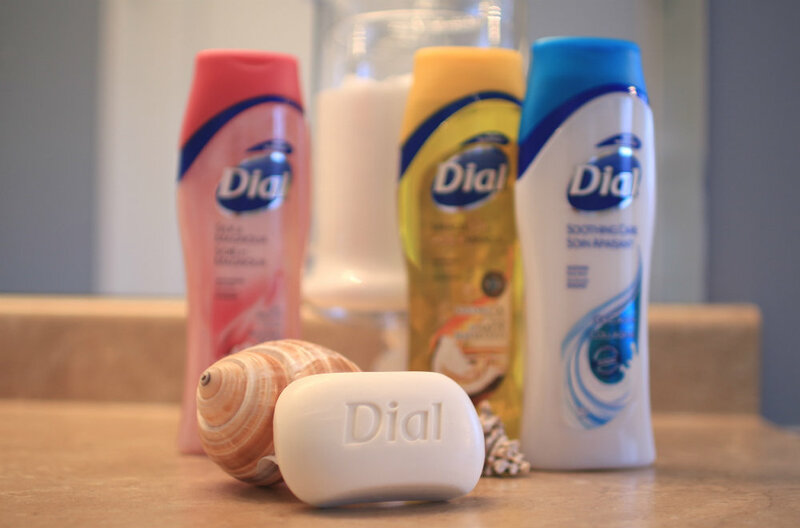 These body washes include Dial® Silk and Magnolia with Silk Protein, which literally feels like silk as you wash, Dial® Soothing Care with Collagen, which is so soft on my skin, and my personal favorite: Dial® Miracle Oil™ Coconut Oil body wash; the smell reminds me of being on a beach vacation. 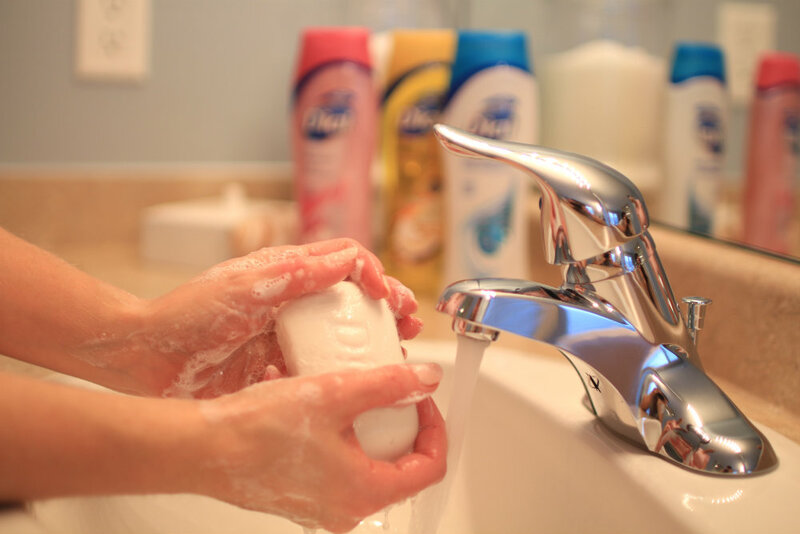 I’m not the only one using the Dial® ADVANCED Bar Soap; my husband and four kids love it too. A fresh new take on bar soap! With new lather pockets, Dial® ADVANCED Bar Soap provides a moisture-rich lather. This advanced formula is non-drying and contains Aloe and Vitamin E, that leaves your skin feeling healthy and soft. Learn more here! Disclosure: This post was brought to you by Henkel Consumer Goods Canada via Mode Media Canada. The opinions expressed herein are those of the author and are not indicative of the opinions or positions or Henkel Consumer Goods Canada. Next Next post: Nesting Story Is Now On Snapchat – Here’s A Sneak Peek!